I haven’t had time to post this week. Soo busy!!! Considering this is taper week, you’d think I’d have a little extra time but it’s also the first week of school for my little and a busy week at work and as always… New adventures!!! Last weekend though I made it out to the beach for a mini TRI with open water swim. I felt good. Strong. Both physically and mentally. The swim in the bay was picture perfect! The water was like glass but was so stagnant, murky and extra salty!!! My head was on straight and I’m proud of myself for beating my demons. I didn’t allow for anything to take me off focus. I showed up. Did what I needed to do. And that’s it. All business!!! The bike was wow!!! Again, it was like Mimi was ready to go play. We kept a good pace — not like I was going full blast but it was a really good ride. Just as I made it to the turn around, I noticed a shell on the side of the road. I looped around again and HAD to pick it up. It was a sand dollar. It was broken around the outside and stained as if it had been run over and gone through some messes. It was a little bit like me. I grew up on the island as a kid. 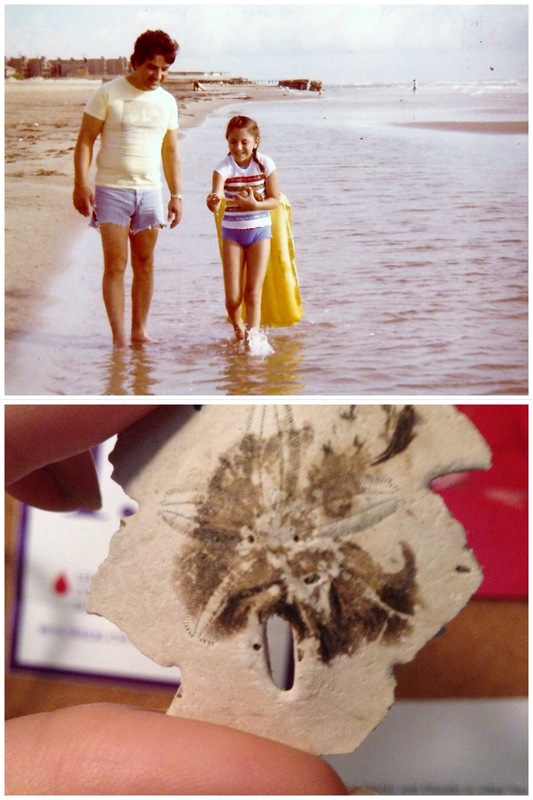 Momma and Dad would walk with me along the beach to collect sand dollars. So ya… That was my sign. My life is coming back together again — and she’s not here but she is. So remember that busy week I was telling you about a few posts ago??? Yep, it happened! Fabulous fixie with orange wheels donated by Wally’s Bike Shop for our auction!!! We hosted a fabulous mixer at Cimarron Country Club last Thursday. Auctioned off a wicked awesome fixie donated by my trusty and generous bicycle guru, Wally’s Bike Shop, and some ticket concerts to a great show coming up and honored a great local gastro doctor who jumped on board to help with the cause. RGV CAP board members even jumped in on the ALS Ice Bucket Challenge!!! Friday was packet pick up. And Saturday was our RGV CAP 10k race!!! Monies generated from these events go to Rio Grande Valley residents who are at high risk of colon cancer and are unable to afford a colonoscopy. Since colon cancer is one of the MOST curable cancers if found in it’s early stages, many understand and empathize with the passion we have to this cause and supported it with all that they could. I’m so grateful for the amount of support we have received!!!! Oh how I wish Momma would have found her cancer in an earlier stage. But I know.. I know.. I sure miss riding my bike as often as I did. But I had to work on my weaknesses. Cycling to me is FUN so I know that on game day, I won’t be riding with my legs, I’ll be riding with my heart. As I should be. Getting over my personal disappointment on my swim at CapTexTri will be an adventure. But I’m confident I’ll beat my demons. Lets watch and see!!! My story is yet unwritten and only me and my coach have my goals. Self improvement has lessons every day and on various subjects. I am a forever student. I am still quite a distance from my finish line. I’m going to take you back with me to the year 1997. It was the Saturday before my first Mother’s Day and my Momma and I were sitting together at a Mother/Daughter workshop held in one of the ballrooms at Embassy Suites. My grandma passed away in my mother’s arms when I was 12 years old. The love and respect they had for each other was evident to me even as a pre-teen. Now, as an adult, I was able to recognize that look on her face when she realized some of the motherly advice she was giving me was something quite meaningful to her as it triggered memories from when she was a young, clueless mother… like me. I had forgotten about this experience because since the age of 10, I was given a little 110 camera and a diary from Momma to record all the happenings of my daily life (which probably explains my habitual over posting of photos on facebook and instagram). And of course, if she said to do something… it had to be done and done well. That meant perfect grammar, complete sentences and nice handwriting. My journal was kept safe and hidden at home and written on at the end of the day. My camera was in my pocket all day long for moments that would help describe my story later on. Oh! And back then… we used film. It was about $7 to buy and about $20 to process and it took two weeks to get them back so all my allowance was used for this. I’m rambling…. Long story short… after giving birth to an almost 11 pound baby boy, I had some baby weight issues. My vanity kept me from taking photos of us that day. God, I regret that sooooo much! How I wish I could remember what she was wearing that day. Which glasses did she have on? How did she style her hair? Why can’t I remember this? Because I was too insecure of my own appearance to take a picture of myself with my mother on my first Mother’s Day weekend and HER first Mother’s Day weekend as a GRANDMOTHER!!! How selfish of me to have vanity and insecurity steal this memory away from me. Lesson: Take pictures and journal as many fabulous moments from now until you can’t any longer… no matter who it makes feel uncomfortable or annoys. These pictures and postings are for ME and MY memory so that I don’t forget my good times. So what DID I walk away with on that special day with Momma? We got the book My Mother Before Me – When Daughters Discover Mothers by Julie Kettle Gundlach. I believe it was the author who conducted the workshop that day with us. We were given little exercises to perform… like a series of questions to see how much we knew about our mothers and then a series of interview questions to ask our mothers. I don’t remember the questions but I believe I did much better than the rest of the daughters in the room with us that day. Even better… that day marked a unique metamorphosis of our relationship. We no longer saw each other as the Mother/Child or Superior/Inferior. We now saw each other as Mother/Mother and confidants. As a teen, I am sure I tested her patience with my feelings of entitlement and complete inconsiderate actions like staying out too late and not telling her where I was or who I was with, announcing to her on a Thursday night that we were supposed to be on a float in a parade in San Antonio that Saturday, or saying “I have NOTHING to wear!!! !” and two hours and one Simplicity pattern later… a new dress is in my closet. She knew… she knew it all suddenly clicked because now I was a mother and would do anything for this child of mine. Because by her example, I now knew what it took to be a good mother. What I do remember clearly is from that day on, our conversations changed. I was no longer just her child. She saw me as an equal. I was no longer a bratty teen. I saw her as the instruction book to the baby who was allergic to every single formula except that $80/can kind!!! The purpose of that workshop was to reunite Mothers and Daughters and instigate curiosity. Momma and I already had a good relationship…but this made it better. Soooooo… here’s the kicker. I never read the book after that workshop. I kept it. It’s been in my library all these years but I never cracked it open. I’ve had a TON of garage sales over the last 18 years but I never got rid of this one book. The last few months, I’ve been re-reading old books of mine that I forgot I had so this one popped out. Lesson: Life is short. What is given to you is a gift. It’s human nature to remember the bad stuff and it takes effort to remember the good stuff. Many of us take the good stuff for granted. For that reason, ask your elders and loved ones how they met the loves of their lives, what they wanted to be when they grew up, what their dreams were, who their role models were, what they did when they got tipsy (I loved that question! ), how were they courted, what they regretted, what they feared, what was their proudest moment… Take pictures, record them, video them, save their voice mails, ask them to write about their lives to you. And do it yourself, too, for your children and grandchildren. Who cares if you take too many pictures of yourself and your family and your friends (and my bike and my shoes) doing silly frivolous stuff or insist on video recording every single t-ball game, swim meet, piano recital, half time show, etc. It is in those moments that you find the little gems of the stuff of life.. your life…. MY LIFE. This is my life and I will not allow anyone to edit my story any longer. If you don’t like it… don’t read it. If you DO like it.. I welcome you to become part of a chapter of it. 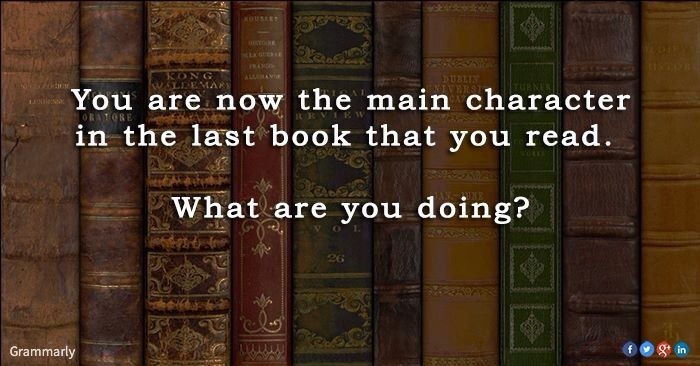 It is in constant edit so that even if it doesn’t have a happy ending, lessons are learned, legends are born and the mystical fable of a cancer cure may jump genres into the nonfiction section. While running marathons and doing triathlons, I met some pretty phenomenal women. Each of us touched by cancer in different ways and all are just as passionate to do something about it. Almost a year ago, I sat with one over coffee and discussed the beginnings of a nonprofit specifically for the people of the Rio Grande Valley who needed help getting colonoscopies because they either did not have insurance or their copayment was out of financial reach for them. Since then, we’ve already done a 5k race and 1 mile kids run and to our surprise… Was really successful!!! Some of the RGV CAP board being a little silly after our first 5k success!!! Our Board consists of doctors, nurses, pharmacists and survivors. And we have three big events coming up soon. A 10k next week, a “mixer” at a local country club and a gala all within about a month!!! P.S. I have tickets!! Message me via facebook and I’ll deliver them to you (If you live in the RGV area). A lot of events right? Unfortunately, I’ve been receiving news all week long of people who have touched my heart and lost their battle. All my work, all my efforts … It’s taking too long to reach these people in need. Or maybe it’s just not enough. Maybe I need to do more. If only I could convince OTHERS to do more. Join me? Please? I’m officially back on the wagon!! My workouts this week have been great! Intense and ok, I’ll say it. I’m noticeably sore today. I rode with Team McAllen for the first time today…on Jarachinas road!!! Now, I’ve spoken about this hilly road several times in my blog. Living in flat lands, this stretch of road is our only “hill country” so it’s used quite often for training. HOWEVER, with all the border violence, illegal crossings and general bicycle crashes that have been happening, cyclists rarely go out in that area by themselves. So, when it was mentioned to me that a group would be out there, I couldn’t resist the opportunity to put in some “real” miles on my Mimi and taste the wind!!! It was a great ride with an unfamiliar but awesome group. As usual, I popped off the group as we hit the second hill and put in my right ear bud. Riding against the wind (albeit there was VERY little wind) and put Mimi into her toughest gear for a harder workout and did as many intervals as I could. I kept the group within a half to one mile distance at all times for safety reasons. On the return southward, I kept it easy to recover. I probably took advantage of the recovery mentality too much because the playlist was just too fun not to dance on my bike the whole way. I think I began to feel like I wasn’t supposed to enjoy my training rides the way I did so I just didn’t ride anymore. I had spent almost all summer long not riding just so I could avoid a handful of people who made me feel bad about feeling good on a bike. And there I was… sweating profusely… sun rising… birds chirping… all by myself on my bike… wind in my face. I could see the red blinking lights of the pack about a half mile away and then I looked over my left shoulder. Yep. The coast was clear. I reached into my jersey pocket. Took out my iPhone. Turned up the volume (*to my ONE ear bud) and SANG MY LUNGS OUT WHILE RIDING!!! And I was ok. Sore. But ok.
Had this been a year ago, I would have been bothered that I wasn’t with the pack or leading the pack, being pushed by someone or worried about what the others were thinking about my performance. I’ve grown so much. I’ve learned so much. I think in the middle of no where, I found myself. I’m not quite sure how to word it because re-reading this… it sounds really contradictory to me. But I’ve become pretty content with who I am and will expect nothing less than continuing to improve myself. My Tia Estella and I celebrating her 92nd birthday. Later that Saturday night, I spent the evening celebrating my great Aunt’s 92nd birthday. There was a 20-minute video that featured all of Tia Estella’s amazing life and she made sure that both Momma and Sissy were included in the video. Yes, I cried. She was a beautician, a nurse, a Justice of the Peace, a widow to cancer, an advocate for the poor and elderly, the director of the Housing Authority and best of all.. a daughter, sister, wife, aunt, mother, grandmother, great grandmother and friend. And then I took a good look around the room filled mostly with family… it hit me. ALL THE WOMEN IN MY FAMILY ARE SERIOUSLY AMAZING! They don’t just do one thing and do it well. They do it all and go balls out! They are all well rounded, highly intelligent, good natured, friendly, fun loving, gun toten’, family first, devoted Catholic women… that dance and sing a whole lot!!! These women raised me this way. Just like Momma. I hope that with my new healthy lifestyle, I can live to be 92 as well and touch the world as well as my Momma did. And if I don’t live to be 92, I hope to live each day of my life in happiness doing the best that I can for as long as I can with what I’ve got. P.S. My Daddy asked me to dance that night. I hadn’t two-stepped since 1994. It’s monumental moments like this that I know will never make it to my “This is your life” video so I jot them down on facebook or this blog so when someone researches me, they’ll know that it was the little things in my life with my family that meant the most to me. For two and a half years, I have been under the guidance of several different coaches. Each of them unique in their teachings but all similar in their connection with me and my goal. Another similarity was that every week, they always sent me an email of the week’s workout and a short snippit of advice on how to keep myself centered and focused while my workouts and life tend to wreak havoc on everything I had planned. Another similarity? Every single one of my coaches have referenced the use of yoga as a foundation of a healthy lifestyle. I had a good little history of yoga and incorporate many of the poses and stretches into my workouts. I first started practicing yoga when I was desperately trying to keep my miracle baby. I completely changed my lifestyle, my eating habits and my mental state. However, there have been many years since then and I haven’t done a good job of keep up with my yoga until just recently. Many people don’t know this about me but I had five miscarriages in between the birth of my first born and my second child. There are seven years between them. And a lot of tears, self blame and heart break. It was during my last pregnancy – through desperation – that I went completely vegan and incorporated yoga into my life. And I had a very healthy, happy, handsome baby boy. 🙂 In my heart of hearts, I truly believe that because I was able to focus my positive energies on my pregnancy and keep myself clear of worry that I was able to reduce the stress that had harmed me before. For this reason, I felt an immediate connection with this last week’s email from Coach W and her reference to an “ocean of Love and Mercy” while using visualization techniques in yoga. I’m not quite sure why but there are still a lot of people who think yoga is religious… ok ok… I’ll just come out and say it.. some people that are very good friends of mine believe that yoga is anti-Catholic (There is a difference between spiritualism and religion but I dare not go there with them). For that reason, I understand why some other people around me are a bit skiddish to tout about the benefits of yoga. It’s also super great to do about 3:00 in the afternoon when you’ve been at your desk all day with a tough assignment. Focus – yoga requires me to be in tune with my breathing and the way that my body reacts to each pose. I must pay attention to every single detail. I tend to keep my eyes closed during many of the poses and when my eyes close… I dream… BIG. And that’s usually when the big picture comes back to me. Strength – When I was pregnant with my miracle baby, I guess I coerced hubby into doing yoga with me thinking that it would be a bonding moment for us. I underestimated his competitive spirit when I saw that he had to reach farther, stretch further, bow lower, etc than I was. He ended up having surgery as a result of the injury he gave himself for that. *This is part of my reasoning for distancing myself from uber competitive people. I’ve never considered myself strong with a six pack… but when I do yoga, I immediately feel my core engaged, my posture is better… I feel taller, stronger, confident. Peace – every now and then, I get too wrapped up in the drama of the world around me. Worrying is such wasted energy. An hour of yoga with meditation is honestly all it takes to rejuvenate my inner spirit. Both have facebook’s and websites with more information. As someone who is dealing with cancer, a caretaker of a loved one dealing with cancer, an athlete trying to find balance between training and civilian life… or just any ordinary extraordinary human being, yoga teaches us to be still and listen to our body and what it’s telling us. It is so easy to be consumed by worry, stress, problems, bills, our job, our “what ifs”. We forget to live in the now and see the gifts that we have in the palm of our hands right now, this very moment. And if we don’t watch it, we’ll take those gifts for granted and they’ll vanish without much notice. Taking a few minutes out of your day to develop a yoga habit will not only make you develop flexibility, strength and agility… it also allows you to find inner peace and happiness and gratitude.